Is the administrative operation at your urgent care facility is in disorder and require an expert healthcare back-office support? If yes, then let us help you with our healthcare back-office support services for urgent care centers. 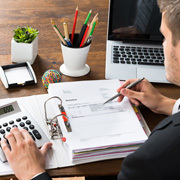 We can streamline your entire administrative functions by improving the revenue cycle management, billing & coding, and other administrative operations. Outsource2india is one of the leading providers of the healthcare back-office support services in India for urgent care centers. We have more than 300 AAPC certified medical billing and coding experts who have extensive experience in providing healthcare back-office support services for urgent care centers. A streamlined revenue cycle management (RCM) process is the pre-requisite for a positive cash influx. However, several urgent care centers face issues to recover the payoffs and have to compromise only because their healthcare back-office support functions are not organized. We have a team of medical coders who are experts in coding medical services, diagnostic procedures, etc. with the proper medical codes. They do this by referring to the standard coding rules, which includes ICD-9-CM, ICD-10-CM, HCPCS Level II, CPT, etc. They can also provide the correct transcriptions for your facility's notes & laboratory results, can conduct audit & reviews, and provide emergency room e-code evaluation. Our account receivable staff are experts in collections, AR calling, medical claims follow-ups, denial analysis, tracking the unsettled balances, etc. We have quite a lot of AAPC-certified AR specialists who can improve the clean/claim rate with their extensive know-how of the diagnostic and procedural coding expertise. We are adept at re-submitting the denied claims and leverage the latest stack of tools to manage. We can draw patterns to gain insights into the gap areas of your urgent care facility to find the exact reasons for claim denials. 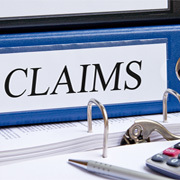 We can track the claims and also automate the workflow to maximize the cash flow. Healthcare BPO provider notes, etc. 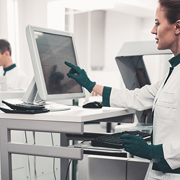 Health information management is vital in the current data-driven healthcare sector that can allow a doctor to access real-time and accurate data. This way the doctor can have the information he needs in the device he wants. When you offshore healthcare back-office support services for urgent care centers to us, we can establish the health information management systems at your facility. Our urgent care consultants can provide healthcare consulting to assist you in setting up a better operation system at your medical center, irrespective of its size. Our consulting solutions include expert consulting on transcription, data security, analytics, medical claim processing, communication, etc. Through our healthcare back-office support services, we can provide scalable healthcare IT solutions to set up the best combination of systems and tools at your urgent care center. Moreover, we can update and upgrade your present systems and can migrate the data to the new one, etc. Offline data entry services, etc. Why Choose Outsource2india for Healthcare Back-office Support Services for Urgent Care Centers? Our company is certified with the ISO 9001:2000 certification that shows our capability in setting up the HIPAA guidelines and mandating those at each rung of our organization. With us, you do not have to worry about the security of your urgent care center's data as we have rock solid systems and certified professionals who take utmost precautions and abide by the HIPAA's regulations at all times. O2I is certified with ISO/IEC 27001:2013 certification and have the necessary infrastructure to protect your medical records. We are committed to implementing the best of the information security management system's protocols and best practices at each stratum of offices. We have amassed more than two decades of experience in the healthcare back-office support sector and have catered to several healthcare organizations across the globe. Our urgent care support staff exceeds 300 in net capacity and our total management experience has surpassed 100+ man-years. Thus, when you choose us to outsource healthcare back-office support services for urgent care centers, you can expect the best support services that will revamp your entire organization. Our offices are well equipped with sophisticated tools and infrastructure facilities to offer healthcare back-office support services on par with international standards. We have robust firewall systems, self-sufficient internet leased circuit systems, intrusion detection technology, VPN technology, 200% power backup, 100% IT redundancies, etc. We have marked our global presence through our five-different delivery centers that allow us to provide immediate support by leveraging the local expertise. And when you want to contact us or want us to gather your requirements, we can do that by leveraging the delivery centers. Thus, you can expect quick deliverables at highly-affordable prices. Our team of healthcare back-office support experts work 24/7 and are always available to take the calls or resolve tour queries at all times and at all costs. Thus, you can contact us at your convenient time and through the medium of your choice. We can scale up our healthcare back-office support services at any time. We possess the necessary resources who can reduce the delivery time or speed up their services, thus providing you with the much-needed leeway against your competitors. At O2I, our business model for the healthcare back-office support services is designed in a way to give individual attention to each of our clients. That is the reason why whenever you decide to outsource healthcare back-office support services for urgent care centers to us, we will assign a dedicated resource who will be your one-point contact. This way, you will get the updates on the work done. Whenever we take a project, we plan the services in advance to avoid the risks of delay, deliverables, etc. Also, we have abundant resource, and enough experience in the healthcare back-office support industry to provide you with the best turnaround. Outsource2india is the leading provider of healthcare back-office support services in India for urgent care centers with extensive service expertise on Medical Billing & Coding, Medical Claims Processing, Adjudication, RCM, Denial Management, AR Management & Follow Up, etc. Our healthcare back-office support team consists of some of the most qualified professionals with expertise in medical billing, medical coding, insurance verification, denial management, etc. They can improve your urgent care facility's cash influx by organizing the healthcare back-office support functions. You can partner up with us to boost your urgent care center's productivity, ROI, and improve your staff's utilization through streamlined & systematic administrative operations. Get in touch with us today!